Every piece has a story to tell. The Bombay Store has always been inspired by things which are exclusive and especially Indian. A Hindu household is said to be incomplete without an idol of Lord Krishna. According to Hindu Mythology, Lord Krishna is one of the most revered and most popular of all Indian divinities. He is worshipped as the eighth incarnation (avatar) of Lord Vishnu. Krishna is captured in his classic pose of Chaturbhuj (Krishna with 4 hands) playing the flute. Standing gracefully on a Lotus (Kamal) his melodies enchant the cows and Gopis of Gokul. This craftsmanship creates a musical aura, with all the Gopis playing instruments like Sitar, Drum, and Tutari around Krishna. On top, Lord Murugan (Kartikeya Bhagwan) is sculpted on a peacock symbolizing good luck. The craftsman has taken peacock as the theme of the creation-with many elements sculpted in its feathers. The dominant motifs in this art include the peacock feathers, cows , Lord Vishnu, Lord Hanuman, Rats and Musicians having been carved with a traditional touch showcasing the utmost talents by the Indian artists. This masterpiece is chiseled and carved on Teak Wood and cladded partially with German silver. This intricate and elaborate process requires great precision and skill. We believe this grand statue will create an aura of divinity and serenity anywhere it’s placed. Beautify any space be it a bungalow, office area or building entrance with this meticulously carved Krishna idol. This visually appealing idol in the antique finish is worth a visit. This figurine has a silver charm can enchant the eyes of the beholder and you wouldn’t want to miss it. This Krishna idol will become your favorite in no time. Do visit us and marvel at this true modern masterpiece of Indian Handicraft at The Bombay Store (PM Road). A picture is worth more thousand words. Pictures hold a lot of memories, and we want you to share those warmest and extraordinary moments on this Diwali. To enter the contest on Facebook you need to log on to our fan page at https://www.facebook.com/thebombaystore/. Like the page and contest post and reply in comment section with your answer and hash tags #TBSRangoli #TheBombayStore. Nominate your 5 friends to participate in the contest and share it. Your 5 friends also need to like our page. To enter the contest on Twitter log on to our twitter fan page @thebombaystore. Follow us and Like contest post, reply in comment section with your answer and hash tag #TBSRangoli #TheBombayStore and retweet it. Nominate your 5 friends to participate in the contest. Your 5 friends also need to follow our page. To enter this contest on instagram log on to our fan page on instagram @thebombaystore , follow us and like the contest post and reply in comments with your answer and hash tag #TBSRangoli #TheBombayStore and nominate 5 friends . Your 5 friends also need to follow our page. The contest will begin on Saturday, 18th October, 2017 and ends on, 23rd October 2017. 3 lucky winners, 1 on each platform will be announced soon! Winners will be decided based on the quality and genuine post. Picture having Rangoli with the rangoli maker(participant) has high chances of winning. The prize is not exchangeable and cannot be redeemed in cash. ‘The Bombay Store ‘reserves the right, as its sole discretion to choose the winners and the prize. Only Mumbai, Pune, Vadodra, Jaipur and alibaug residents will be eligible for winning the contest. Facebook , Twitter , Instagram are completely free of any liability by the participants of this contest . You are providing your information only to ‘The Bombay Store’ and not to Facebook , Twitter , Instagram . The information you provide will only be used for the purpose of administering the contest and prize fulfillment, unless you otherwise agree. At the time of prize collection, winners will be asked to pose with their respective prizes. These pictures will then be shared on The Bombay Store’s wall. The Bombay Store has always been inspired by things which are distinct, exclusive and especially Indian. We bring to you yet another classic collection straight from the highway called as “Truck Tales”. Every piece has a story to tell at The Bombay Store and with this range we bring to you a kaleidoscope of colours, slogans and intricately painted symbols – each reflecting a unique story. An array of brighter hues blended on a complete assortment of tableware and home décor, which includes: mugs, shotglasses, trays, coasters and cushion covers. Bringing to you our modern and graphic take on Incredible Indian trucks in all its quirky glory. The price range starts at Rs.250. The Bombay Store wishes everyone a very Happy New Year. We wish that 2016 brings peace, prosperity and success to you and your loved ones. 2015 has been a great year for us, as we were able to offer to you a range that was a perfect amalgamation of our cultural elements and contemporary India. Like every year, last year too we enjoyed decorating your homes by launching a whole new Brass collection, an extensive range of candles, incense sticks, t-lite holders, utility boxes and a new range of bed covers and cushion covers. This year too we assure you that we will live up to our vision of bringing the best of India by launching products that are unique and accentuate the contemporary as well as the traditional India. Our very first collection this year would be a tribute to our very own city, Mumbai – “Mumbai Diaries”. Besides our designer collection and back on popular demand, we will be adding a complete range of ethnic apparels at PM Road, Fort. To conclude we just want to say that you can look forward to a year full of surprises at The Bombay Store. Wedding Gifting ideas by The Bombay Store! The Big Fat Indian Wedding season is here! We know you are inevitably facing difficulty choosing a perfect gift for every wedding you are to attend this season. A wedding marks a new & special beginning for the newlyweds. It is important to congratulate them with not only a great choice of gifting but also a thoughtful one. Choose from a wide range of Enamel Bowls, Platters, Serve ware & many other kitchen items that will add sweetness to the kitchen of the newlyweds. There’s also a wide range of German Silverware like wine and champagne glasses, bowls, platters etc to add a little more uniqueness to your gifting. Great aroma & pleasant lights! Wouldn’t that make a beautiful romantic atmosphere for the couple? We have an exhaustive range of beautiful T-light holders, diffuser sets, incense sticks & fragrance oils. A new marriage often denotes moving into a new house for the couple. Help them accentuate the look of their humble abode with our range of Home Decor items like silk bed covers, vibrant cushion covers, carpets and rugs or table runners. What can be more expressive than showering blessings on the couple with some Ganesha figurines? Wish them for their new journey ahead with some thoughtful idols. 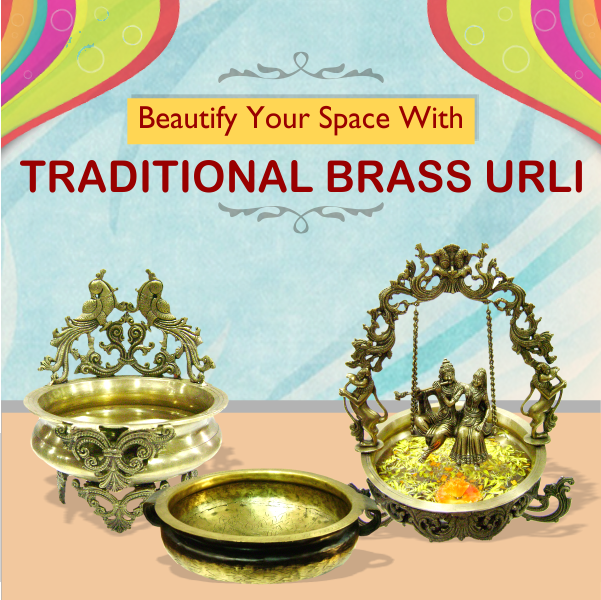 Besides idols, we also have a wide range of frames available in wood, dokra or brass. Well, if you are at the receiving end of all the lovely gifts above, we are sure you would also want to thank them with a rather sweet gesture – Return Gifts! Select gifts from a great collection of candles, t-lites, small figurines and idols etc. We are sure we have pretty much lead you to a step ahead. Now it’s for you to visit us and execute. The Bombay Store presents ‘Dots Divine’: A Collection inspired by “Dotilism”, a unique painting technique. The collection uses the signature elements like Elephant, Lotus, Feather, Mandala, Buddha embodied in colorful dots. So mesmerize yourself with this vibrant range emanated from dots. Dot is a symbolic form of Unity & Infinity. The elements have been created using the notable patterns of Dots to create functional product range while retaining the essence of ethnicity. The collection includes Jhola Bags, Cushion covers, Coasters, Mugs, Shot Glasses, Tissue Boxes & Trays. “Dots Divine” with its unique portrayal of Dotted art captures the essence of India in aesthetic themes and vivid forms. Come and connect the divine dots!! With festive season around and with a promise to deliver something new, The Bombay Store has launched an exhaustive collection of Brass products at its stores. The range includes: pooja room accessories, idols, wall décor and home décor items like Surayis. Not only for yourself but you can also gift these exclusive pieces of art to your friends and family. Each brass product has a story to tell. These are handcrafted with unique skill and precision. Some are made with “decorative double stone work” – in which the products are first adorned with a base layer of stones and then finally finished with another layer of stone work of Turquoise, Lapis and Coral. Besides the stone work, some products exhibit the “filigree workmanship” – in which twisted threads are soldered together on the surface of the object and arranged in artistic motifs. Bastar Art is also one of the most talked about art forms in India. At The Bombay Store we have added a complete range of Bastar art products which has a lot of historical significance. You can never find any two products similar because the moulds are made of wax and cannot be used again. Besides brass, you can also look for products made with marble, metal enamel and bone work. These are beautiful pieces which are hand painted with gold leaf work embossed on it. The Bombay Store has always been the one stop destination for all your needs and represents the confines of exclusivity. 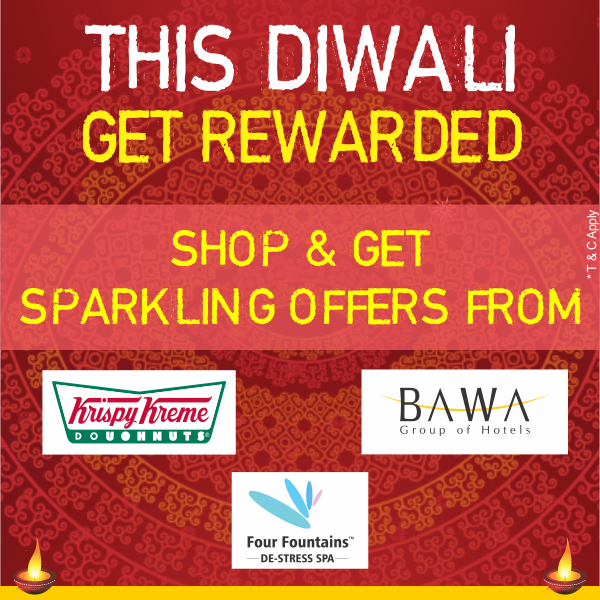 Be it for your home or gifting options for Diwali – we assure you that you will not be disappointed! The Bombay Store launches their new collection inspired by Hindi Devanagari!! The Bombay Store holds its position of bringing Indian history closer to you by launching their new collection – “AKSHAR”; inspired by the Hindi Varnamala. ‘Akshar’ is a colorful collection of bold & vibrant prints of Hindi alphabets: ‘K’ ‘N’, ‘P’ & ‘T’. Each alphabet is carefully meddled with various elements like “K” – Kamal (Lotus), “N” – Namaste (Greetings), “P” – Patang (Kite) & “T” – Tabla (Musical Instrument). We have launched this collection across a product range which includes Cushion Covers, Mugs and Coasters. The designs with colorful motifs are very enchanting and reflect creativity. Flaunt these vibrant designs and they will definitely grab a lot of eyeballs for your trendy selection. The cushion covers won’t fail to add brightness to your existing home décor and give it an elegant touch and mugs and coasters will definitely add a dash of color to your tableware collection. This new collection is available at ‘The Bombay Store’ outlets at Mumbai – PM Road, Colaba, High Street Phoenix, Linking road Khar, Inorbit Malad, Inorbit Vashi; Pune – MG Road, Market City Mall and Bangalore – 1 MG Mall & Market City Mall. Price range starts at Rs.250. So what are you waiting for? Our favorite lord is finally here. It is a time when streets bustle with devotees and every nook and corner of the city appears drenched in the enthusiasm of the festival. 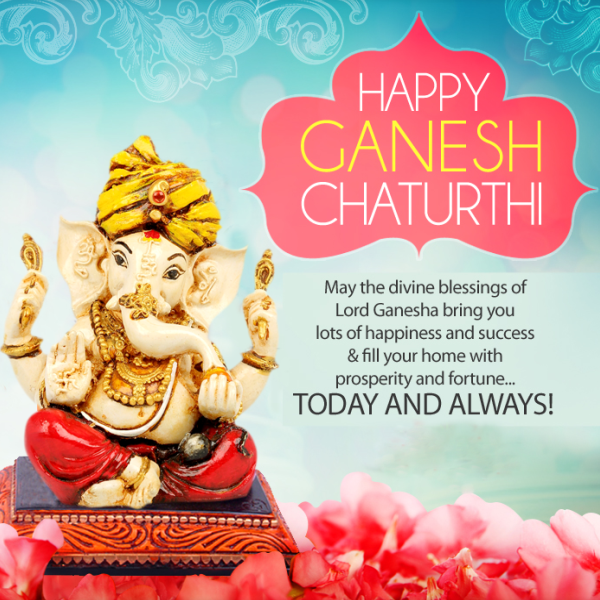 To make your Ganpati celebration grander head to The Bombay Store as we house each and everything you will require for the festive preparation, right from the largest range of Ganesha idol to decoration accessories you will find all products to suit your theme and taste. 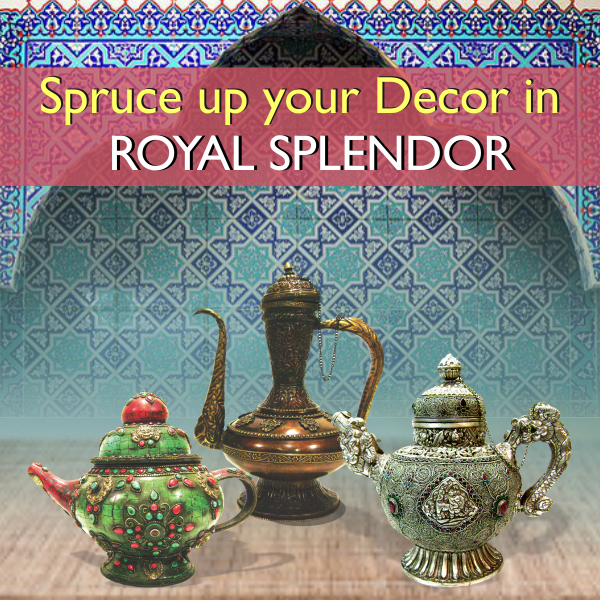 A perfect time to decorate your house with an assortment of embellishment ranging from home décor to puja accessories! The Bombay Store offers artistic torans, danglers, colourful bed and table covers. You can give the ultimate traditional look to your decoration with menakari Puja Chowki‘s, Puja Thali’s, designer diyas and lanterns. To top it all add a celestial touch to your home with aromatic candles, t-lites and incense sticks. To complete your shopping, we have also added a new range of Ethnic Apparels and traditional bags to complete your festive look. That’s not all; we also reward you for shopping by offering you 10% and 15% off at Punjab Grill in Mumbai and Mayur Thali in Pune respectively. Festive celebrations call for indulgence and we have made sure that you have a great time with your family this Chaturthi.